Nuha and Lyndsey have been important members of Arrows of Love since 2011. Five piece Arrows of Love have an exciting, and somewhat destructive set. This photo was taken at Truck festival. Lyndsey has recently moved to Berlin (and left the band), but the band are playing a number of shows in March on their way to SXSW. 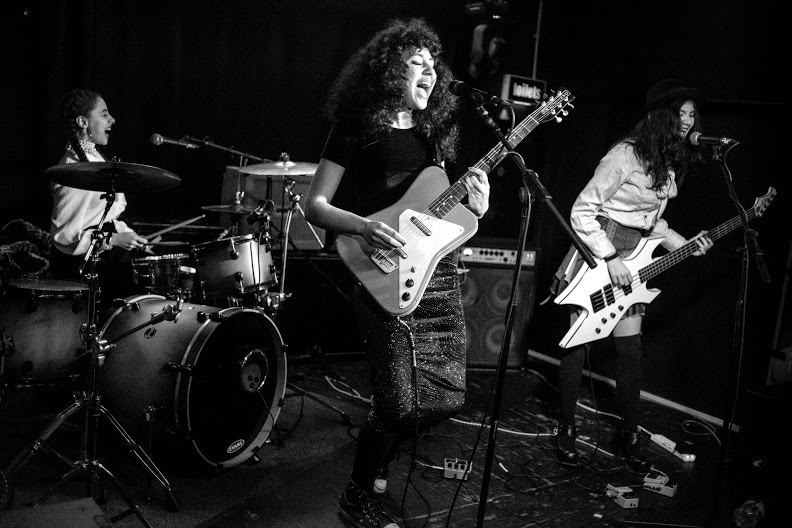 Originally from Sardinia, singer Anto Dust played solo gigs around Camden for a couple of years before forming a shoe-gaze band in 2013. The band currently also have women on keys and bass. 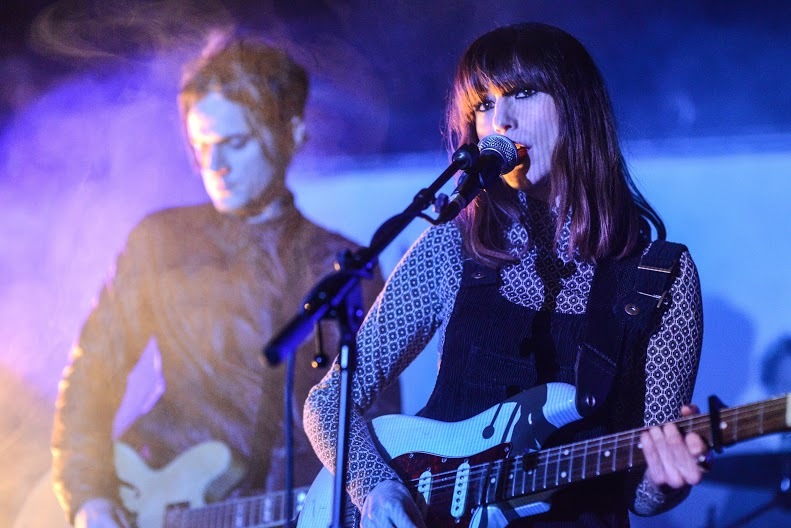 Personnel changes in 2014 led to something of a hiatus, but they returned at the end of the year with the pictured Electrowerkz gig (supporting Lola Colt) and we are expecting to see them gigging again in the spring. I first saw this band when they were at school. More than 3 years later I think they are still teenagers. Faris of the Horrors has included Skinny Girl Diet on the first release on his new label Raft Records, and they will be promoting the release with a gig at Rough Trade next Tuesday. 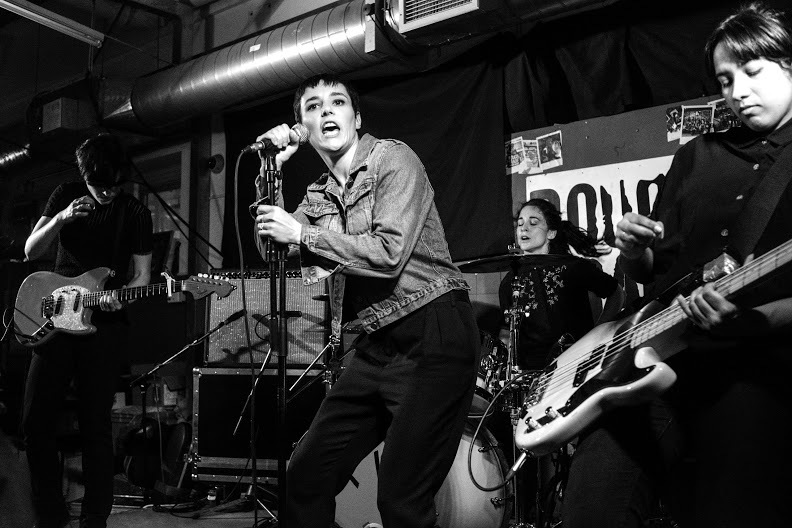 Pins are an all female band from Manchester who are currently on tour – last night they played the Sebright Arms or maybe you saw them in Brighton on Wednesday. 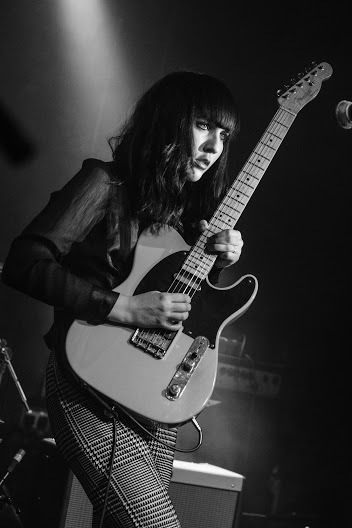 They are about to set out on a european tour supporting Sleater-Kinney (London Roundhouse 23rd March) and then a UK tour with Drenge culminating at the Electric Ballroom on 21st April. 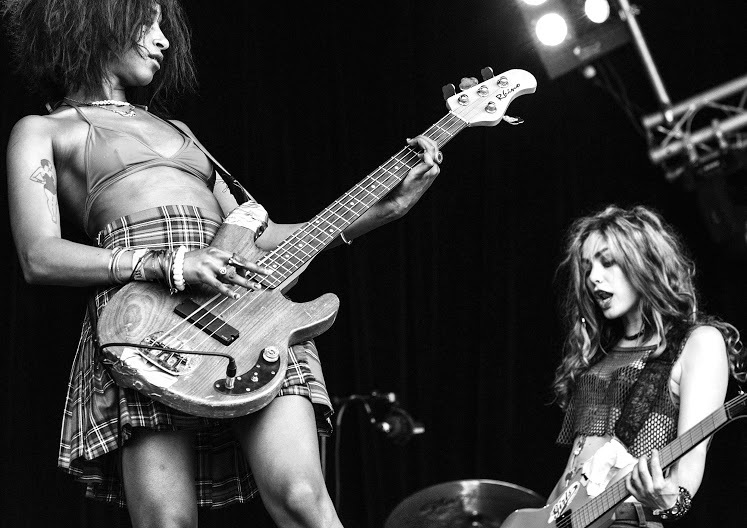 They have been been notable for networking with other female bands such as September Girls or Abjects. 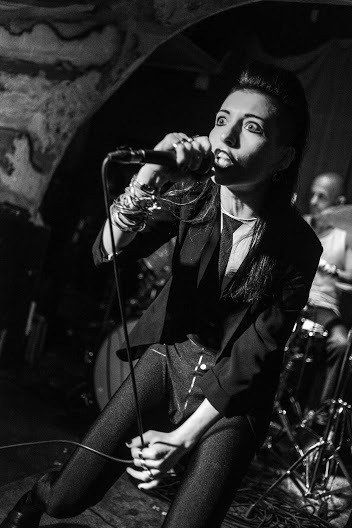 If you are interested in female bands and bands with a significant female presence you must surely be aware of Savages. I saw most of their early London shows. 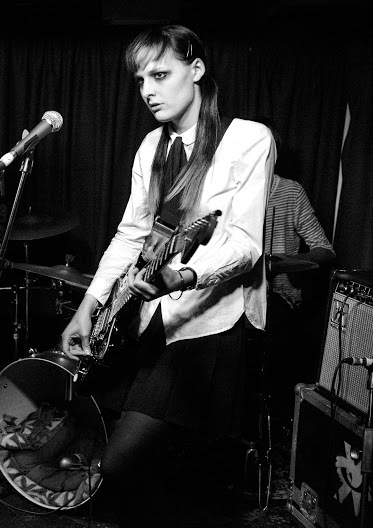 This photo is from Rough Trade where they played in May 2013 on the occasion of their album release. This is the final part of the 98 Wounds photo series.